RARELY do these AWESOME townhomes built by Bosa in the award winning Cobblestone Walk complex come up for sale, especially the largest 3 level floor plan like this one! OPEN CONCEPT with two HUGE bedrooms and a den with 2 full bathrooms upand another powder room on the main floor. Such features as an island and an eating area in the kitchen, gas fireplace in the living room, huge laundry room with insuite storage, a large 15'3 x 6'9 deck to relax on and 2 PARKING stalls! Beautiful, dark wood floors and lots of windows for light! 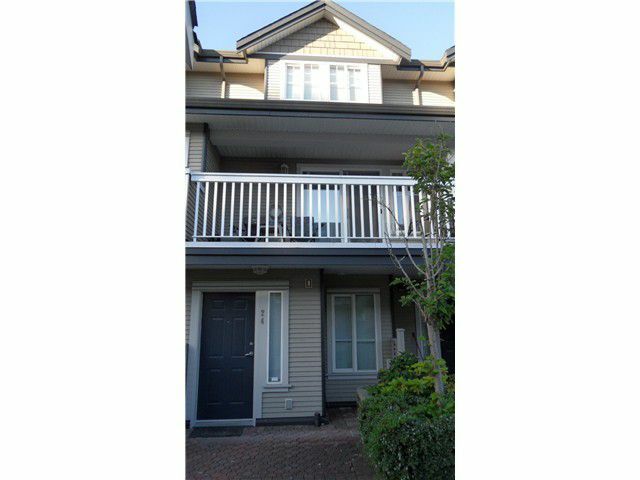 Close to skytrain, schools and just about everything you need. This is one you don't want to miss! 2 dogs or two cats allowed!